Heraklion is the capital of Crete and one of the Mediterranean region’s most fascinating and vibrant cities. 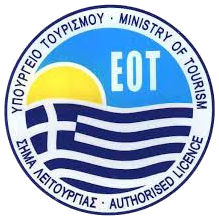 The city is also the commercial and technological center of Crete. It has a strategic geopolitical position in the south-eastern Mediterranean Sea connecting three continents and many different cultures. It offers a wealth of museums, a summer-long arts festival, historical sightseeing, amazing nightlife and events throughout the year. Whatever the purpose of your visit, your stay in Heraklion will be one to remember. Any other sites you wish to include in the above mentioned tours, please contact us. We can arrange a tailor made private tour that matches your needs (in this case we can be accurate on the time needed for the transportation). The city of Chania is located on the north-east part of the island Crete. It is the capital of the prefecture of Chania and its administrative, economic, commercial and transportation center. It has a population of over 60,000 residents and is built over the ruins of the ancient city of Kydonia. The city of Rethymno is an ideal tourist destination for visitors who wish to explore the rich cultural heritage and the natural beauties of Crete, during their private tour. This well-organized city offers to visitors a variety of picturesque routes to follow and numerous historical monuments to visit. The old city of Rethymno still preserves its old urban structure to a great extent, formed during the Venetian period and later reformed during the Turkish occupation. It has been declared a protected historical monument and a traditional settlement. Agios Nikolaos is the 4th largest town on Crete, lying east of the island’s capital Heraklion. The town is one of the four prefectures of Crete, and it is built partially on the ruins of the ancient city of Lato to Kamara.